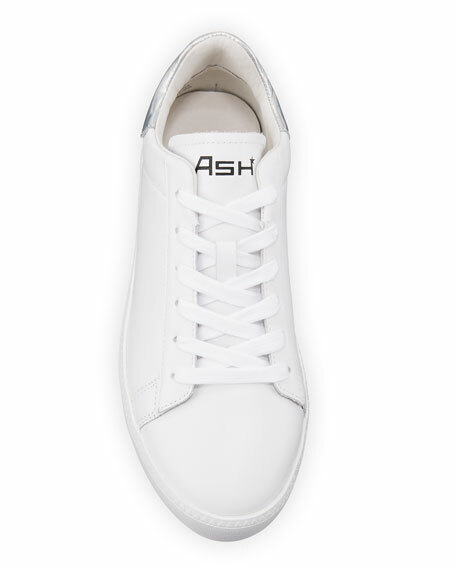 Ash "Cult" platform sneaker in calf leather with metallic heel counter. 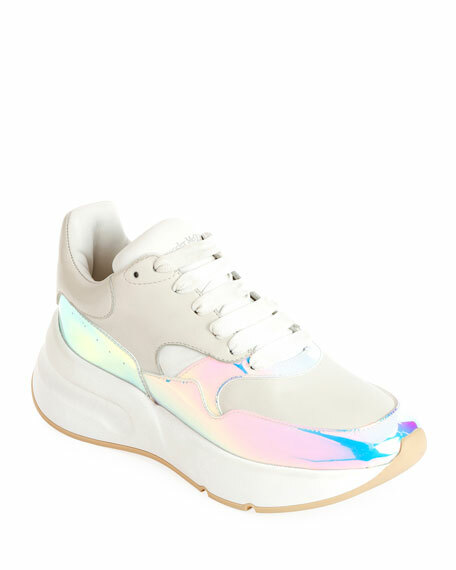 Alexander McQueen leather trainer sneakers with holographic accents. Chunky flat heel. Reinforced round toe. Lace-up vamp. Logo at tongue. Padded footbed. Rubber sole. Made in Italy. Ash "Jaguar" star-print metallic knit fabric sneaker. 1.4" flat heel with platform. Reinforced round toe. Lace-up vamp. Pull-tabs at tongue and back collar. Stretch-sock insole. Rubber outsole. Imported. 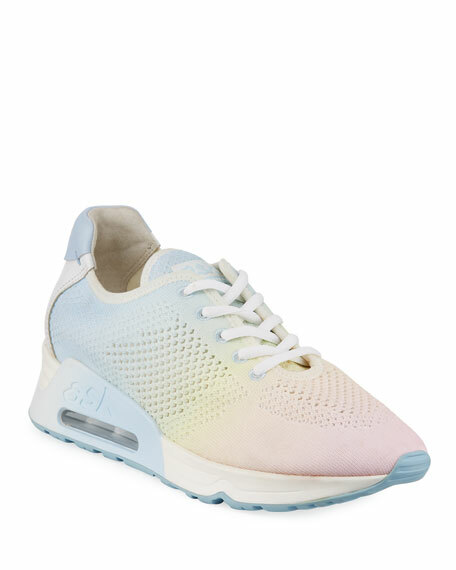 Ash rainbow ombr knit sneakers with leather trim. Chunky logo wedge heel with bubble detail. Reinforced round toe. Lace-up vamp. Padded footbed. Rubber sole. "Lucky" is imported. 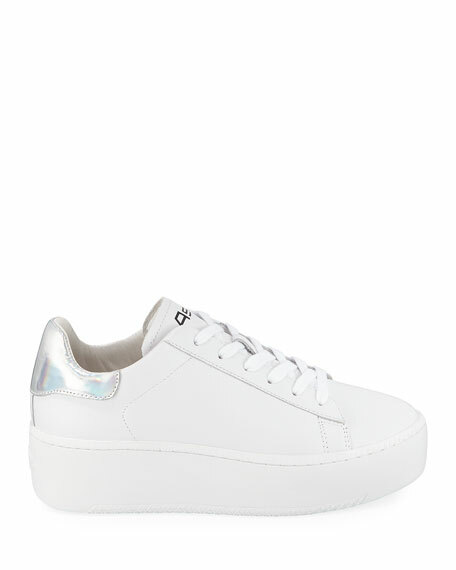 Ash metallic star-print fabric sneaker with leather trim. Textured heel and platform with star at heel counter. Round toe Lace-up vamp. Stretch-sock collar. Pull-tab at backstay. Leather lining. Rubber outsole. "Ninja" is imported.